This is our complete guide to Apex Legends' Caustic, including their backstory, abilities and special ultimate, tips and tricks, and much more. Caustic is an excellent and fun character to play with in Apex Legends, but you're going to have to pay up some money to play as him. 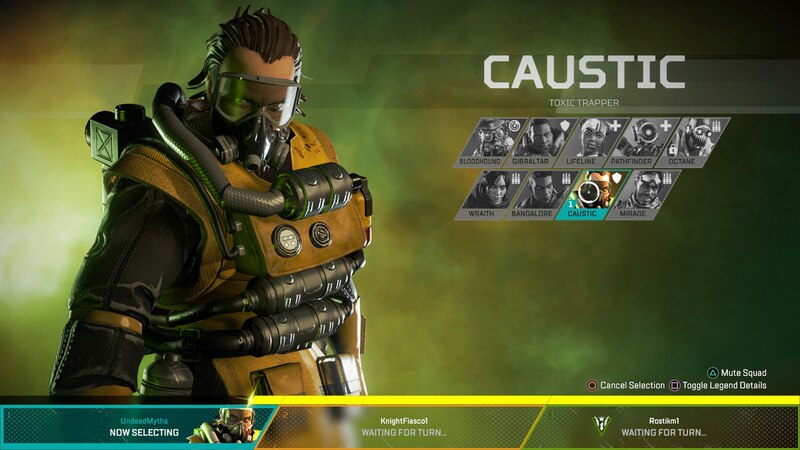 The toxic scientist has many grenades and area of effect poison attacks, and in our Apex Legends Caustic guide, we'll be detailing everything you could possibly need to know about the character. But if you instead need any additional information on Respawn's smash hit battle royale game, you can head over to our complete Apex Legends tips page. Here you can find a key list of essential tips and tricks for all players, as well as an index listing out all our additional guide pages on the game. Before he took on the moniker of Caustic, this character's real name was Alexander Nox. Working at Humbert Labs, Nox became sadistic, experimenting on live subjects using his test gas. After the lab burned to the ground and Nox was presumed dead, Caustic rose from the ashes. As Caustic, the character now takes to the Apex Games to experiment with new deadly gases on the participant. As for Mirage and Octane, there are two methods of unlocking Caustic for play in Apex Legends. 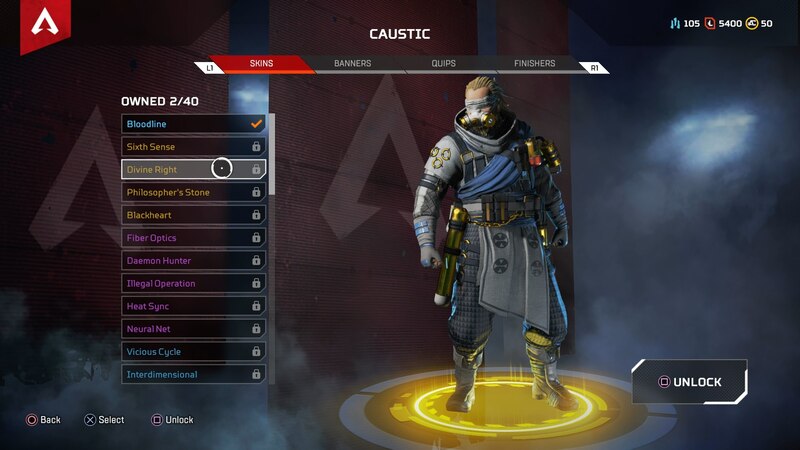 Firstly you can save up 12,000 of the in-game currency by playing Apex Legends, and unlock Caustic without spending a dime. Or, if you'd prefer not to grind out the process, you can pay 750 Apex Coins to unlock Caustic straight away. Since you can purchase 1,000 Apex Coins in a bundle for $10, this is likely the amount you'll need to pay to unlock Caustic. Every character in Apex Legends has three unique abilities, and Caustic is no exception. 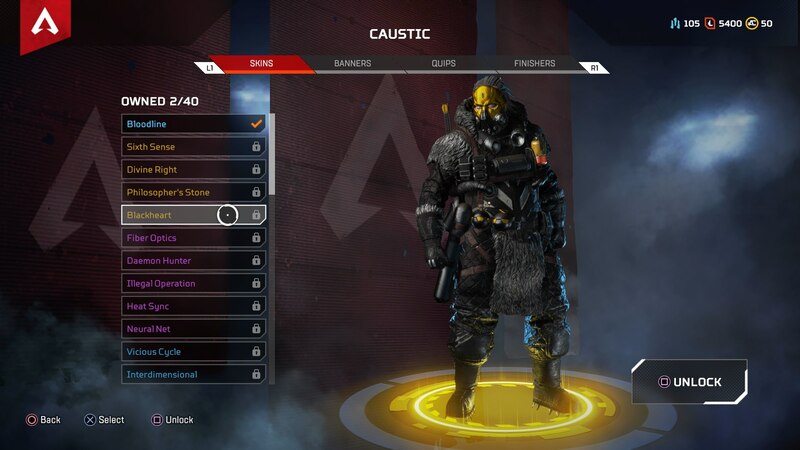 Below, you can find a detailed description of Caustic's passive, tactical, and ultimate abilities. Nox Vision (Passive) - Allows you to see enemies through the gas (detailed below), which become highlighted in red. Nox Gas Trap (Tactical) - You can drop up to six gas canisters, anywhere you want, which can then be tripped by enemy movement or gunfire, releasing poisonous gases. Nox Gas Grenade (Ultimate) - Throw out one canister, which releases a massive, and more powerful gas cloud. Caustic's strengths obviously lie in his ability to throw out gas grenades onto the battlefield. 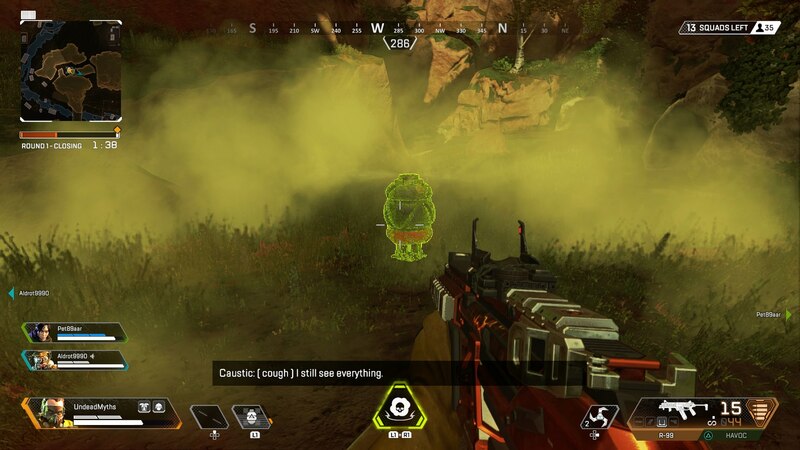 In this Ultimate ability called Nox Gas Grenade, Caustic throws out one single canister right in front of him, which immediately detonates without any need for activation. This ability is excellent for providing some cover for you and your team. Because it doesn't have an extensive recharge time, you don't need to worry about using the Ultimate to provide some cover for when you're being shot at, even if it doesn't damage anyone. But in close combat, the Ultimate can be excellent. You can drop it down in close quarters and the gas will blind your enemies, giving you an advantage since Caustic can always see through the gas. Note however that your teammmates' vision will be slightly impaired in the gas. 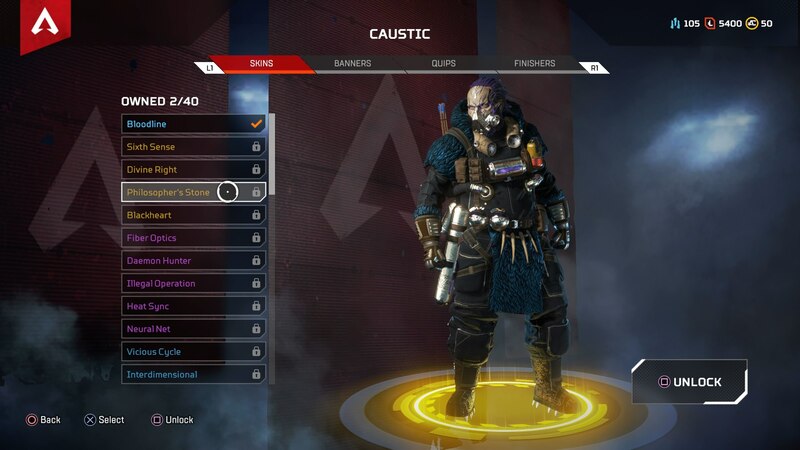 Caustic straddles the line between all out offensive character, and backup support character in Apex Legends. Because of the relatively short range of his Nox Gas abilities, you'll need to be fairly close to the action for them to actively take effect. Remember that you can use the Nox Gas Traps as defensive as well as offensive weapons. If you need to make a quick retreat, simply pop a canister down on the ground and shoot it, providing you and your team with a gas cloud that will cover your retreat. You can even use the Nox Gas Traps to block doors and other pathways. The traps can be placed in doorways so that enemies are forced to shoot them if they want to pass through, and you can also use them against a team that are attempting to reach the safety of the ring. If you're looking for a perfect character to pair with Caustic, look no further than Bloodhound. 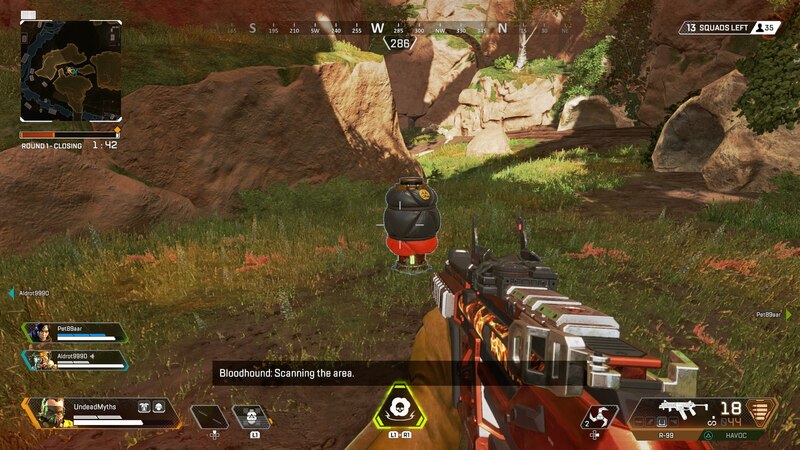 When Caustic deploys the Nox Gas Traps to smother enemies, Bloodhound can still track the enemies through the gas with their natural passive ability. This one two combo can be deadly if used right. 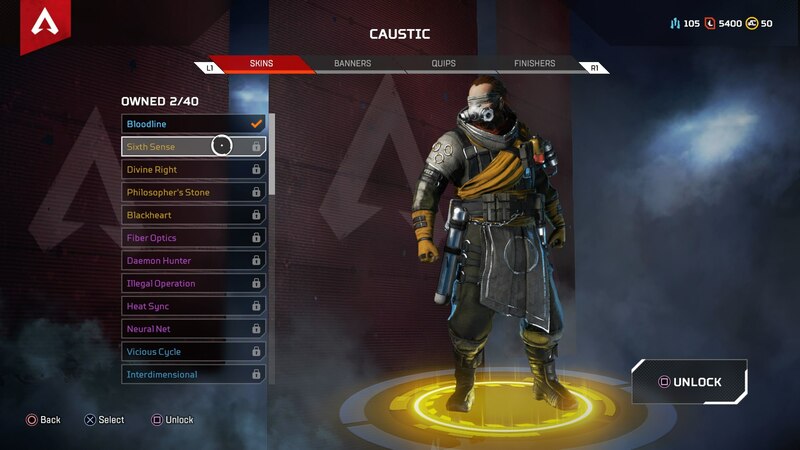 Once you've unlocked Caustic in Apex Legends, you can unlock four legendary skins for the character. You can see all four legendary skins below, each of which cost 1,200 crafting materials to unlock. J.B. Blanc provides the voice for not only Caustic in Apex Legends, but also IMC Commander Kuban Blisk. 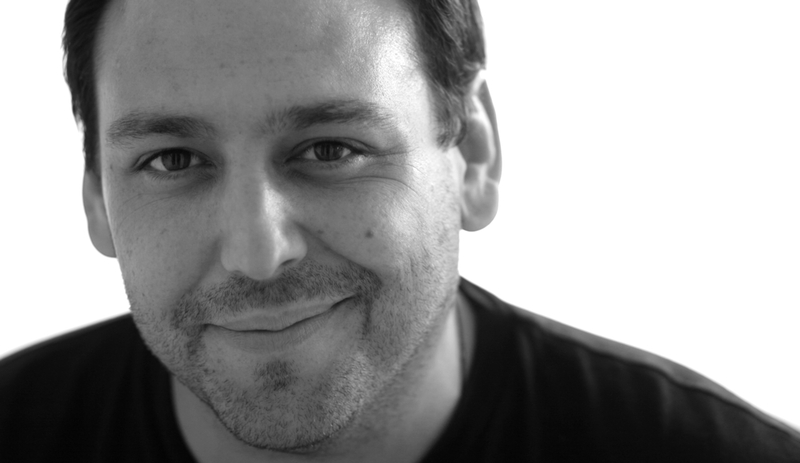 Blanc has actually appeared in countless other projects across TV and games, including Breaking Bad, Better Call Saul, Metro Exodus, Darksiders 3, Judge Eyes, and many more. This is our complete beginner's guide to Apex Legends, the battle royale game from Respawn, set in the Titanfall universe. Get all the Apex Legends tips you need to win.